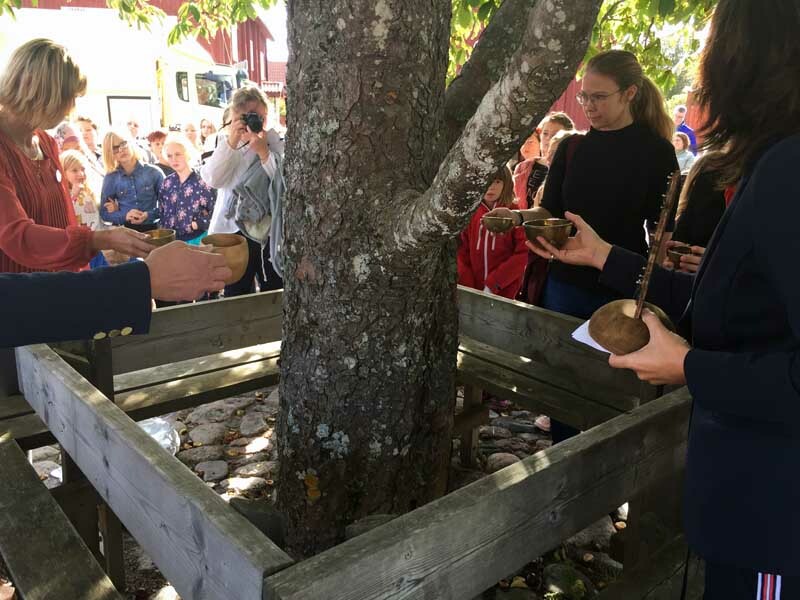 A chestnut tree (Castanea sativa) at the old Square of Åtvidaberg became the Children’s Meeting Place September 20, 2018. 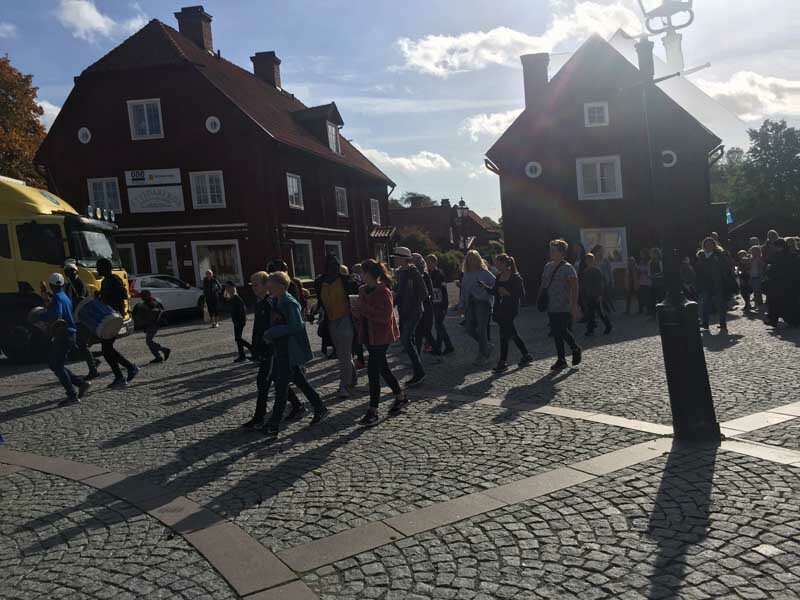 The inauguration took place when pupils/students of all primary and secondary schools of Åtvidaberg worked together for a week on the theme United Water – Inspiration for Integration. 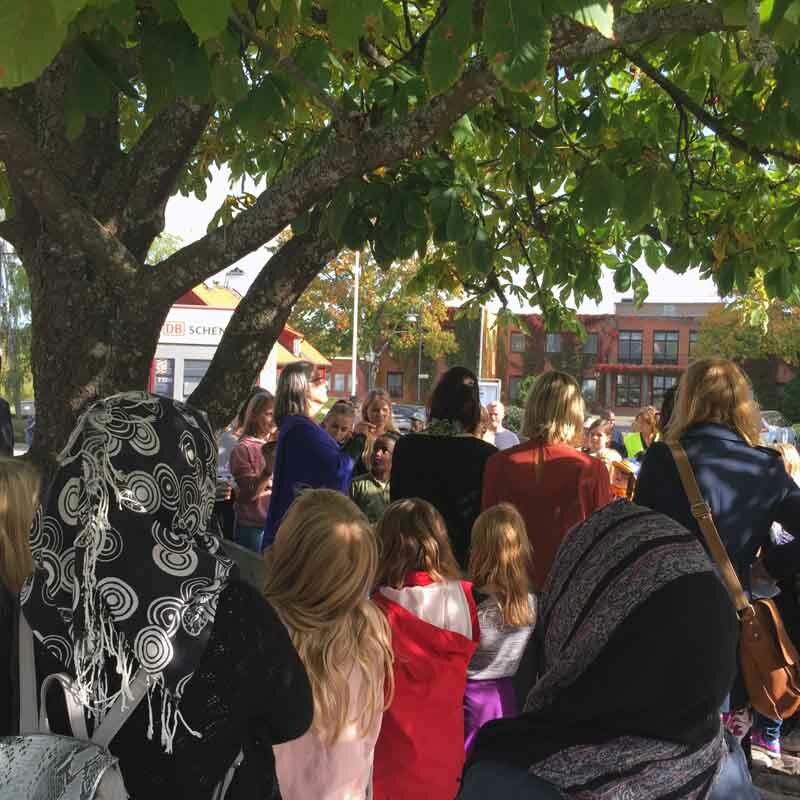 Also children and young people from Juja and Dandora in Kenya participated in Our Uniting Water and Soil Ceremony. 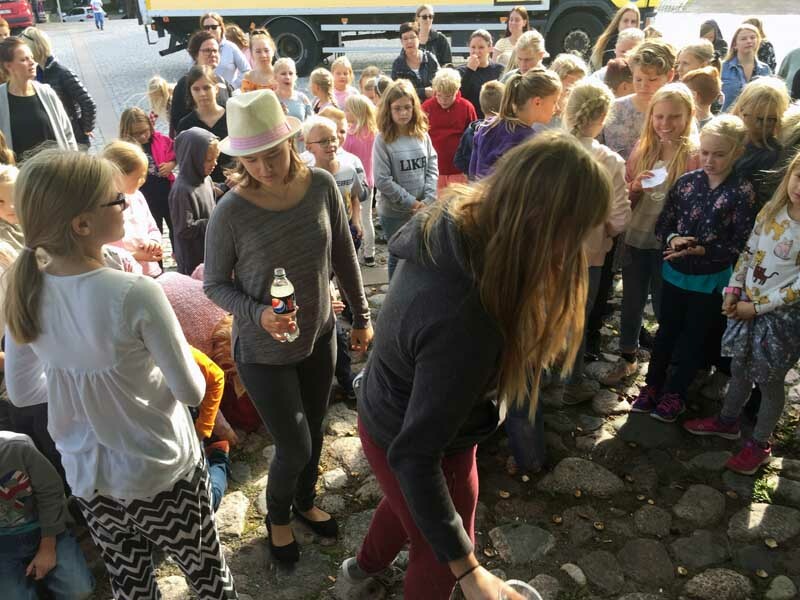 The municipality’s environmental strategists and principals of all schools received the children’s water and soil. 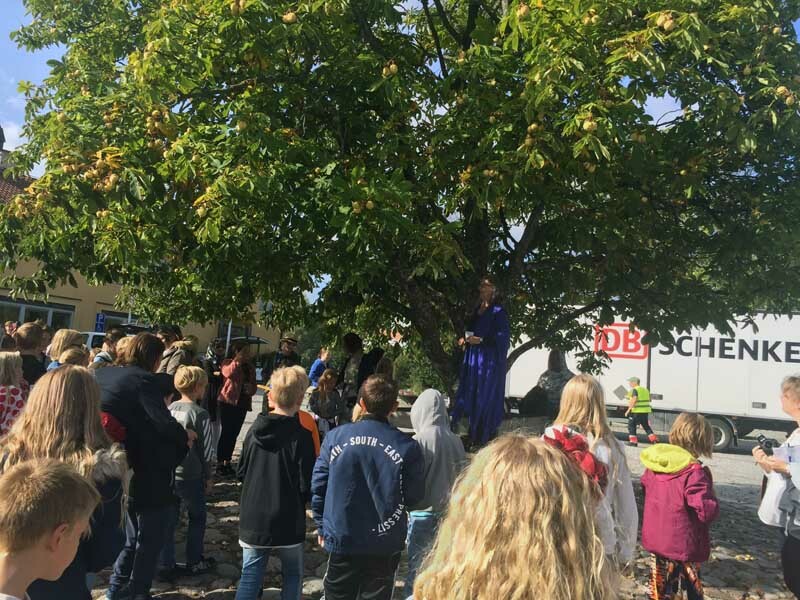 The inauguration and the theme week was a collaboration between; the upper secondary school, the local library and museum, Åtvidaberg’s Kenya Association and Pendo Amani of Juja (Kenya), Åtvidaberg’s congregation and youth choirs, Katedralskolan in Linköping and the Globetree.